The far-northern European group of indigenous Sami languages is dying. Some, like Ter Sami from the eastern Kola Peninsula, only have two remaining speakers in the world. Sami youth are not learning their language, and if they know it, aren’t engaging with others in it. Aili Keskitalo, president of the Sami Parliament in Norway, wanted to find a modern way to solve this problem—so in 2013, she took to social media in an effort to revitalize the languages. 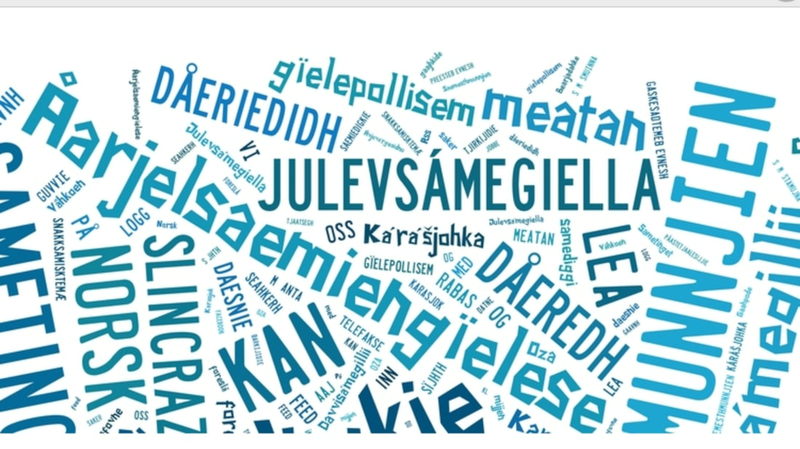 Using the Sami, Norwegian, and English-language hashtags #sámásmuinna, #saemesthmnnjien, #sámástamujna, #snakksamisktemæ, and #speaksamitome, Keskitalo encouraged Sami speakers to post a single word or phrase, paired with a photo and sometimes voice recording, on Instagram, Facebook, and Twitter. The campaign prospered for three years, bolstered by events, competitions, physical products, music and video programming, and blogs, before ending this year—but the hashtags and word packages still make an appearance online. In fact, the project had such a positive response that it sparked a similar social media campaign for the fast-dying Gwich’in language in Canada and Alaska: #SpeakGwichinToMe. Social media has evolved to be so much more than just an outlet for personal chatter. According to the United Nations, more than 6,000 languages exist across the world—and half of them face extinction by the end of the century. But thanks to the incredible reach of platforms such as Facebook and Twitter, speakers of endangered languages may be able to reverse this trend. Ayapaneco, a language from Ayapa, Mexico, faces a similar fate to Ter Sami—only two living native speakers are left. In 2014, Vodafone collaborated with Professor James Fox from Stanford University to help preserve the language and reintroduce it to young children. They rehabbed an Ayapaneco language school in Mexico (where the two native speakers teach) and launched a website, Viva Ayapaneco, a social media-fueled language "adoption" service. Users either search for a word or receive a random word to adopt, listen to a recording of the pronunciation, and then record a video of themselves saying the word. Each video is stored on the website with easy links to share via Facebook, Twitter, and Google Plus. Facebook groups have a hand in language preservation as well. One of the five remaining speakers of Thao participates in a group called the Omniglot Fan Club—a 20,335-member page dedicated to language learning and linguistics-based culture on which users, including that Thao speaker, can share information about fading languages. The Omniglot group and a similar group called Polyglots have taken it a step further, too. Members do a twice-yearly Lingua Franca Challenge, aiming to learn one language over the course of six months. Groups exist for minority languages, Uralic languages, European languages, and more. “This kind of group gives people with a common interest in languages a place to talk and meet one another, if only virtually, to help each other and to learn from one another,” Ager says. Keskitalo believes social media has become an essential tool in the preservation of endangered languages.